Jonathan Rhys Meyers Fansite > City of Bones teaser trailer! 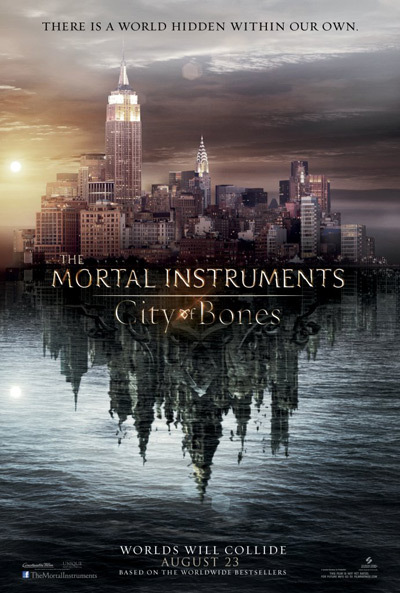 The teaser trailer for “The Mortal Instruments: City of Bones” debuted last night to very positive fan reaction. It was so popular, it trended worldwide on Twitter. You should be able to view the teaser trailer on the official website. While short, it does give a tease of the basic plot and our first glimpse of Jonathan as Valentine. The trailer was put together very quickly as editing and special effects on the film have only just started. You can see screen captures from the trailer over at our site partner’s website, JRM Source. They also released the first movie poster. It’s quite stunning. Stunning is the right word for this teaser trailer and posters. I’m very happy, because Jonny as Valentine appears in it, promising something fantastic. Jonathan, I just want to wish you the best of luck with your new upcoming projects, Dracula and City of Bones. I don’t know much about them but I am hoping to be able to see them in the states. I know you’ll do a wonderful job in both! You make great films! I escape in them. Thank you for taking on the boring job of being an actor so folks like me and dream of being beautiful and loved.